Growing up a stones throw from the home Los Angeles Angels, Jacob Faria like many young boys dreamed of being a professional baseball player. That dream started on the path to reality when the Tampa Bay Rays selected Faria in the 2011 draft. Faria attended and played baseball for Gahr High School in California. Gahr is known around the sports world for producing a number of athletes on the diamond and on the football field. Famous alumni include former NFL quarterback Jim Zorn, MLB players Brett Barbarie, Shane Mack, Al Osuna, and current Atlanta Brave Kris Medlen. It was on the diamond for Gahr where Faria started drawing attention. While on the mound at Gahr, Faria went 18-3 while posting a 1.75 earned run average. With each start his senior year more and more scouts began to buzz about his potential. On the second day of the 2011 player draft, Faria’s name was called. The Tampa Bay Rays selected him in the tenth round. Well before being selected Faria had committed to continue his baseball career at baseball power house Cal-State Fullerton. The young pitcher had an important decision to make, sign with the Rays and start his professional career or go to college and continue his amateur development. 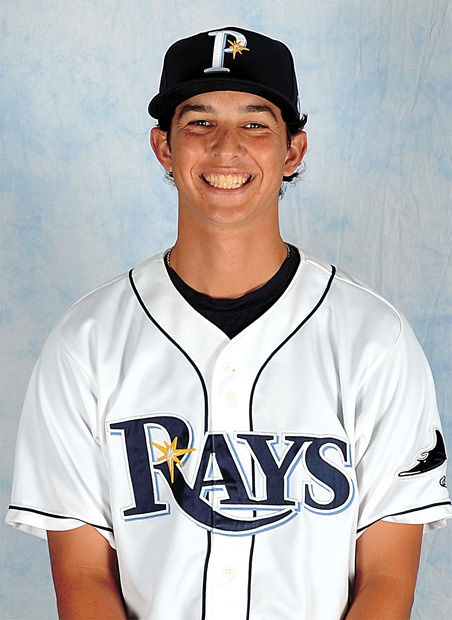 In the end, Faria could not pass up the chance to begin his professional career and signed with the Rays. Faria has the 3rd highest career strikeout total in Princeton history with 105. Appearing in six games in his first season, including two starts Faria showed excellent control striking out 14 batters while only walking one. At just 17 years of age, he was the youngest player on the Gulf Coast Rays roster. As the 2012 season got underway, the Rays kept Faria in extended spring training. Here Faria was able to focus on improving his pitches and mechanics. 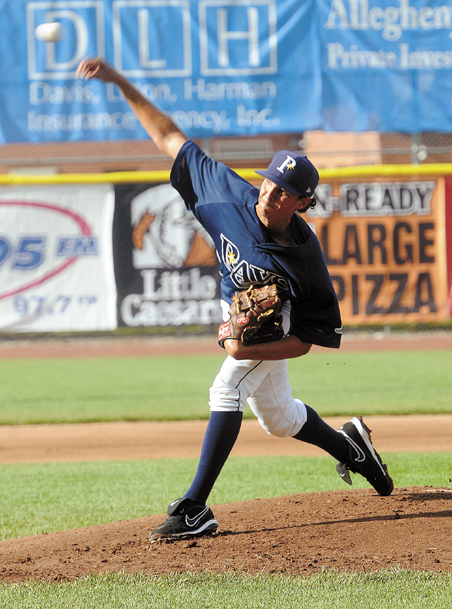 In June the short season leagues began and Faria was added to the Princeton Rays roster. He spent the entire season there and pitched in 13 games, five of them starts. He finished the season with a 3-4 record with a 5.14 ERA and struck out 34 batters in 42 innings. The 2013 season was a repeat of 2012. Once again the Rays kept Faria back in extended spring training and once again they assigned him to Princeton when the short season began. Working strictly as a starter, Faria registered a 2.02 ERA in 12 starts. He struck out 71 batters in just 61.2 innings of work. Faria showed unmatched control of his pitches only walking nine batters in his 61.2 innings on the mound. The Rays organization went on to name Faria Princeton Rays pitcher of the year. His two-year total of 105 strikeouts put him in 3rd place in the all-time strike out leaders at Princeton. Building on his successful 2013 season the Rays pushed Faria to full season baseball in 2014. 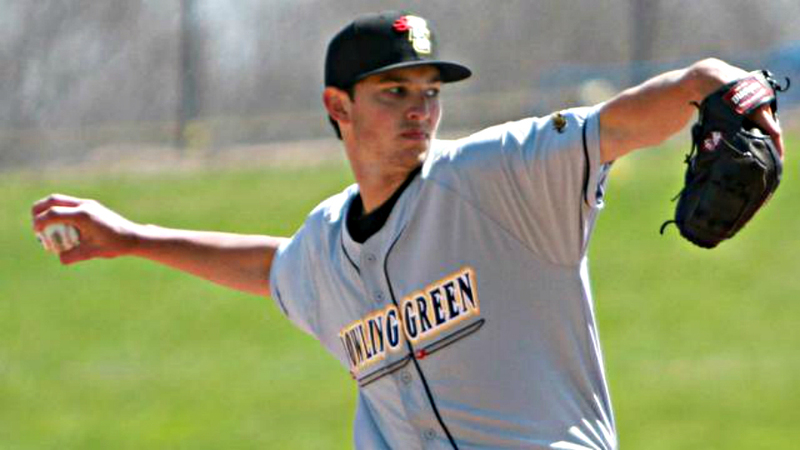 Faria was slotted as a starter in the Bowling Green Hot Rods rotation. Early on Faria has excelled. Through eight starts, the right-hander is 3-2 with a 3.24 ERA. Even though he is facing tougher competition at the plate he has continued to show excellent control. On April 30th, Faria took the rubber as part of a twin bill and pitched the best game of his young professional career. While pitching a complete game, he shut down the Silver Hawks batters, striking out six and holding them to just one hit.. As the 2014 season continues, Faria hopes to continue to improve his game as he continues to face the challenges of his first year pitching in a full season league. We will continue to follow Jacob’s progress all season long. Be sure to follow him on twitter @JDFaria48 and follow us at @CTD_Sypien as we will provide updates on Jacob all season long. It’s was a pretty hectic day. I was at school to start the second day of the draft, it got so hectic with scouts texting me and calling me that my dad actually took me out of school. I came home and me and my parents sat in front of two laptops and just waited until my name was called. A few minutes after the area scout from the Rays gave me a call and welcomed me to the organization and said they would be in touch in a few days. 2. Did you have a tough decision between going to college at Cal-State Fullerton or signing a professional contract with the Rays? It was tough, I was committed to Cal-State Fullerton. That was a big dream of mine to play baseball for them. I had played travel ball for some of the Fullerton coaches growing up as a kid. Growing up in that area that was the school I wanted to play for. It was a huge decision I had to make, the whole process was really grueling but it the end I signed with the Rays. I am extremely happy with the decision I made and how everything has worked out so far. 3. What pitches do you currently throw? Give us a bit of a scouting report on what you try to do on the mound? I throw a 4-seam fastball, change-up and curveball. I like to jump ahead on hitters with the fastball. I really like trying to keep the hitters off-balance with my fastball and change-up. When everything working I feel like I can drop in anything that the catcher calls. 4. The 2014 season is really your experience playing in a full season league. What has been different between this year and your previous two where you spent half the season in extended spring training. It was really a huge adjustment with my time frame. Normally I’ve come to spring training and had that time plus the time in extended to iron out any issues I have in my delivery or learn something new. Now during this season, I had that one month in spring training and then your on the mound, your playing in games. The games matter compare to extended, you don’t the luxury that if you have a bad game it doesn’t count. If I have a bad outing here it not only affects me but it affects the entire team. Beyond the time frame adjustment, the hitters at this level are more experienced and patient at the plate. 5. You have put together some impressive starts this season with the Hot Rods. On April 30th you had your best start so far in your pro-career. Take us back and tell us about that game. That start is definitely at the top right now. Me and my catcher Armando Araiza clicked. Anything he put down I trusted and I had everything going that day. My fastball command was great, my curveball was so-so but my fastball and change-up really kept them off-balance. I just went after the hitters and I got good results hitter after hitter. 6. Is there any particular coach or instructor along the way that has helped you get to this point in your career? Is there anything in particular that they teach young players like yourself? Its pretty consistent across the board. Each coach has put in their takes and advice. There hasn’t been one person in particular because its been so consistent. I’ve tried to take everything I’ve heard and learned and put it all together. The coaches tell us to just go out and attack the hitters. We has pitchers give hitters a lot of credit but we shouldn’t give them too much credit. We need to go out their and pitch our game and not change the way we pitch because of a hitter or a team we are facing. 7. Who has been the toughest hitter you have faced early on in your professional career? Up to this point there isn’t one guy that comes to mind. The toughest organization for me to pitch against is the Blue Jays. The hitters up and down their organization can really swing it. Jered Weaver – I remember when he got called up to the Angels and we went something like 8-0. I started to watch him and see how he did things on the mound. I began to model my game and the way I pitched on the mound after him. My whole high school delivery was pretty much modeled after his delivery. 2. What is your favorite thing to when your on the road traveling from city to city? I just like to watch movies. We got a few designated movie guys and they bring different films on board. If we aren’t watching movies we usually got the MLB network on or another sport like hockey on. 3. If you could buy any car or truck what would it be? It would be a 1969 Dodge Charger RT with a 440 inch engine. That’s my dream car! I grew up in an auto shop, my grandfather owned an auto shop for almost 50 years. I was always around old cars so I love old classics. A special thanks to Jacob Faria for taking some time out of his busy in season schedule to chat with us. We look forward to following him all season long and into the future. Please remember to give him a follow on twitter @JDFaria48 and like Chasing MLB Dreams on Facebook and follow us on twitter @CTD_Sypien as we continue to feature and follow all of our featured players as they chase their way to the major leagues.